While the United States’ economy has shown encouraging signs of recovery in recent years, one issue continues to get worse: the student loan debt crisis. At more than $1.2 trillion, national student loan debt is second only to mortgage debt. Increases in college cost, coupled with states’ disinvestment in higher education, have made student loans a massive burden on graduates. These debts weigh especially heavy on Millennials, impeding their financial ability to buy homes, pursue advanced degrees, contribute to their children’s education, save for retirement or invest in their futures. It’s a big problem that requires innovative thinking. Fortunately, some forward-thinking initiatives are emerging from both the public and private sectors, designed to help recent grads get started in their careers without spending every extra cent on potentially crushing loan debt. 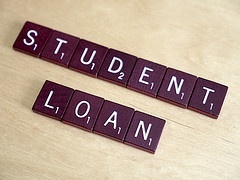 How are employers tackling the student loan crisis? On the private-sector side, the last year has seen a rapid rise of employer-provided student loan repayment benefits. The idea is still in its infancy, but it’s shaping up to be a win-win for both companies and employees. As a concept, it’s fairly simple: a company hires a recent graduate, and the new employee’s benefit package includes a contribution to repaying their student loans. Starting next year, the company will give each worker $1,200 annually to help pay down their student loans, for up to six years. All associates and senior associates — who typically range from entry-level workers to those with six years of experience — are eligible for the perk. Just this week, Fidelity Investments announced that nearly 5,000 of its employees have joined the company’s new loan repayment program – further proof that the idea is growing quickly. Find out about educational assistance programs with Scholarship America. How do repayment benefits empower Millennial employees? The benefit to employees is clear. According to a NerdWallet study released this month, “undergraduate student debt holders could shave off nearly three years of payments and have $4,100 cut in interest from what they owe by taking advantage of a typical employer contribution program” — and that’s if the graduate can only afford to make the minimum monthly payment. What’s more, students who can get rid of their loans more quickly can also start contributing to 401(k) or other retirement plans sooner, ensuring that the benefit pays off for years to come. Student loan benefits can be just as powerful for the companies that offer them. An astonishing 89 percent of job seekers told the Beyond career network that they believe student loan repayment should be included in a standard benefits package. (10 percent even ranked it above paid vacation as a “most important” benefit.) Currently, only about 3 percent of companies are offering loan repayment — so introducing a program this year could be a serious recruiting advantage. How can loan repayment benefits contribute to employee retention? Loan repayment can also be valuable for employee retention. Natixis Global Asset Management began offering the benefit this year to employees who’ve been with the company at least five years. As opposed to PwC’s paycheck-by-paycheck reimbursement, Natixis is offering a $5,000 lump sum on the employee’s five-year anniversary, with a further $1,000 each year for the next five. The $10,000 covers a sizable percentage of the student’s debt load; it also rewards those who come to the company out of college and stay to build a career. The public sector is also recognizing the importance of faster loan repayment. In New York, the “Get on Your Feet” program launched this year as the first income-based state student loan forgiveness; the state will pay up to two years’ worth of loans for eligible residents earning less than $50,000 per year. Other states, and the federal government, defray loan costs for students who agree to live and work in certain underserved areas, but New York’s is the first state benefit to be strictly income-based. For years, the student loan debt crisis has loomed large over the nation’s economy — and our graduates. These new efforts from the public and private sectors represent significant strides toward a solution. Interested in starting an employee assistance program? Get in touch with Scholarship America’s scholarship experts today!